Among the emerging technologies, augmented reality (AR) is driving the eCommerce industry to a wide horizon. AR in eCommerce has rapidly taken over the customers by enhancing their experience. Consumers’ interest and overall participation level have increased after the introduction of AR in eCommerce. In fact, for e-commerce, there are still other heavy challenges that should be solved. One of them is the conversions rate. 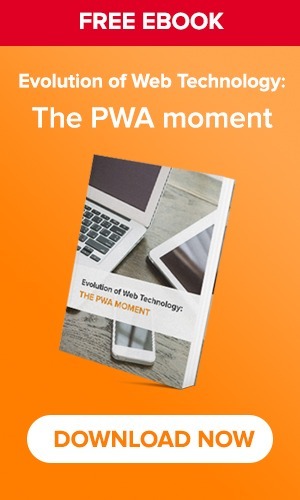 It stays low in the range of 2% – 4% for e-commerce, while traditional brick-and-mortar conversions vary in 20% – 40% range. E-commerce loses to retailers in sensory limits. As customers come to store they want to try by themselves everything they want, before making decisions to purchase. 54% of customers prefer visiting brick-and-mortar stores because they can’t fully visualize products in online stores. However, e-commerce now proposes good solutions to cope with that problem, Augmented Reality (AR) is among the top ones. 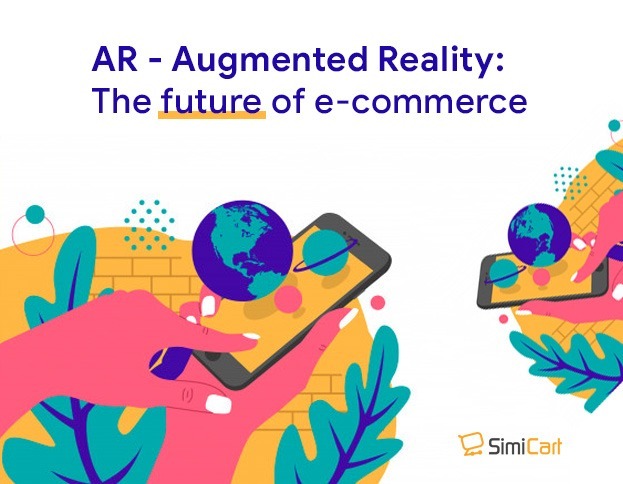 As mobile devices change the landscape of e-commerce market (eCommerce has reported about up to 47.4% of all deals in online shopping by 2018 and its growth up to $626 billion in 2018), augmented reality will soon change the way we shop. 63% of customers are sure that augmented reality may buff their shopping experience. 35% says that they would likely go shopping online more if there would be a possibility to virtually try stuff before buying it. 22% would be less likely to visit traditional retail stores if AR would be available in online stores. 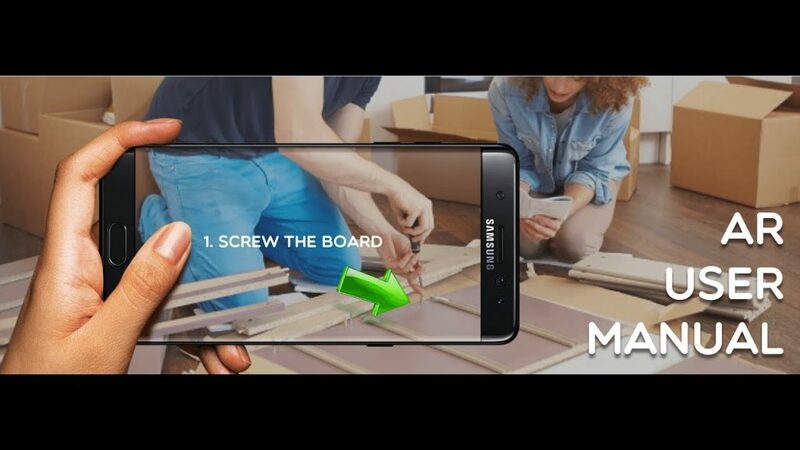 Augmented reality apps go a long way in eliminating ambiguity from e-commerce purchases. They do so by helping consumers visualize the product in the context of the physical space they’ll occupy. For example, home-furnishings company IKEA has had enormous success with its IKEA Place augmented reality app for iOS and Android. Because many of its products are bulky furniture, IKEA needed a way to truly showcase its furniture. 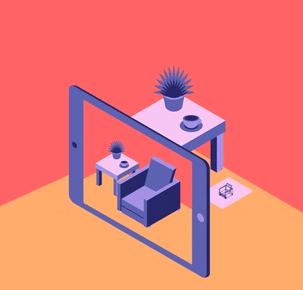 Its augmented reality app helps shoppers visualize how the furniture will look inside their living rooms! They can then easily switch products, alter product attributes such as size and color, and see how different furniture items and the room decor will complement each other. 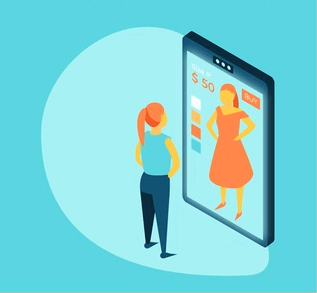 Depending on the up-to-date research, 61% of the customers prefer purchasing goods in online stores that provide AR features, than those without it. 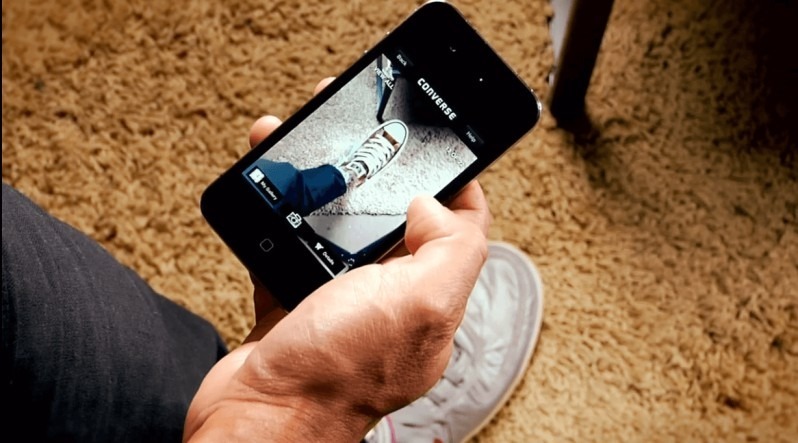 AR gives customers virtual in-store experience, starting from a common chat with advisors to dressing up clothes or footwear (Topshop and Converse AR techs). Also, any AR user may see 3D models of special furniture from any degree and even put anywhere inside his or her own house. The Body Measurement App has a goal to offer the user the most accurate virtual fitting of the body. 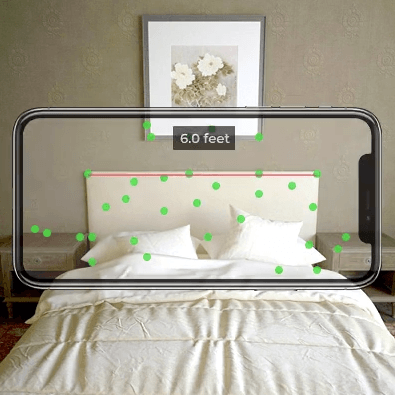 This AR solution is to a better way to measure the fitting of the user which is revolutionary in eCommerce. We are aware that fitting is a basic problem while buying clothes or any wearable products online. Therefore, body measurement App offers the online user to try a product that accurately fits their body before taking the final decision. AR user manual demonstrates the process of reading a manual of appliances in an interactive way with a step-by-step virtual guide. 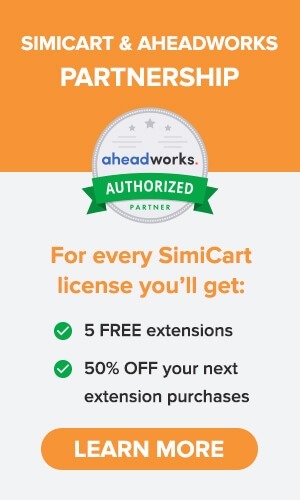 Users without any hassles using smart devices can easily go through the details of the product. It also reduces the time and the fear of unknown risks while going through the manual of any appliances. With an immersive 3D experience integrated with AR Technology, AR manual increases the percentage of understandability. After a simple scan of the appliance, the AR manual indicates all the useful instructions and features in a virtual manner. Technology to detect and calculate the size of the body or object as per the need of your eCommerce user. Cosmetics and beauty brands are hopping on the AR train to success. It makes sense: Seeing an eyeshadow applied to your face often looks vastly different from how it appears in the online product photo of the compact. 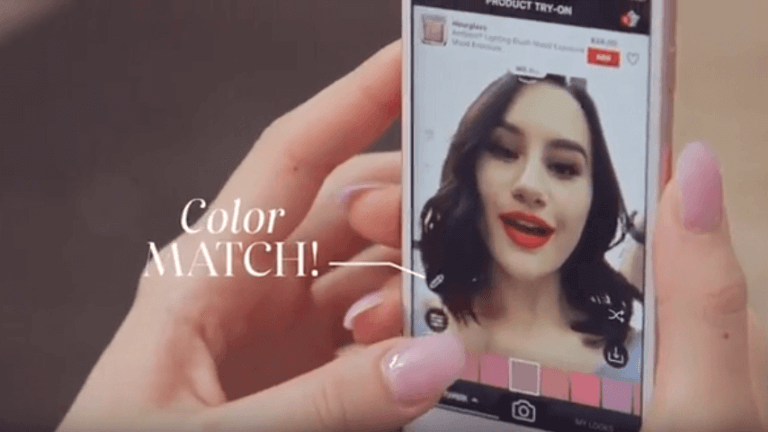 AR apps from Sephora and other cosmetic brands help users shop with confidence and virtually “test” beauty products at home via their smartphone. Virtual Reality provides a new level of interaction for customers where it is getting connected to the user. Users can understand how it will physically look by using the VR headset to view the products for themselves. 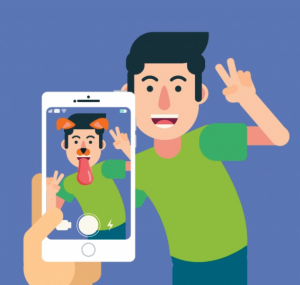 It is noticed that when consumers get engaged with a virtual product that too the 2D printed image, they feel more connected. It offers the user with an intense view of the products that make him/her visit online platform again and again. Storytelling is a way of connecting with people on an emotional level. Because VR storytelling is interactive, it allows you to be both involved in the message being disseminated, and also live it out in real time. The best part of AR is it is helping to change the traditional aspect by introducing virtual platform with some stories or news. The user gets keen to become a part of events and promotions of the virtual products. Users can’t hold themselves when it comes to AR experiences. The experience is so effective that it attracts the users to experience AR again and again. 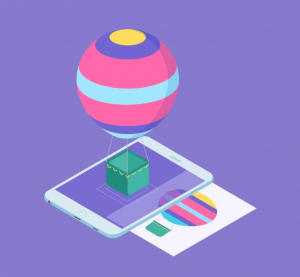 The appealing and motivating features of the AR try to keep users happy and curious about the product. AR with 3D visualization helps the user to make an accurate decision. Thus talking about AR service, all products that are going to be purchased have more chance to reduce the return rate. A user without any doubt will purchase the items as AR provides an interactive experience. Talking about the online store — especially in the case of wearing, where products can only be viewed — does not provide a better user experience. Whereas, AR offers a level of personalization to the customers where they may see themselves in all of the outfits to know which would look best on them. All in all, VR experiences can eliminate doubts, reduce the return rate as well as increase conversion rate. The future of online shopping will pivot on augmented reality. AR is already adding value in getting shoppers to stay engaged on retailer’s mobile platforms as well as driving in-store traffic. 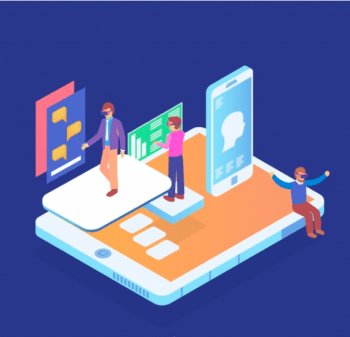 Key players in the industry will indeed have a huge stake in the future of Augmented commerce because as eCommerce evolves, so will your consumer’s expectations.